1. You can tell the size that you need by email or message, then we can print the right size for you. 2. If you want your favorite images and sizes, just give us your images and sizes, then we can make for you. 2. All backdrop will send by folded,because according to rule of post office, length of item cannot be more than 1.2m. So we have to send items by folded.Below is the ways to removed the creases. Roll it up tightly with a cylinder for 3-4 days, it will be ok.
Heat it with a steam iron on the back of item, then it will be smooth again. Using a series of high-tech digital design and computer-printed, it makes the shooting effect more real and more colorful. Please understand that every computer screen is different, therefore,colors may vary slightly. Production: the use of high-tech digital equipment carefully produced digital photo inkjet pictures. If necessary, do not iron the front, will cause damage to the product, please use the steam iron ironing the back. Special Service: We can customize any size of any pattern. Please contact us if you need. 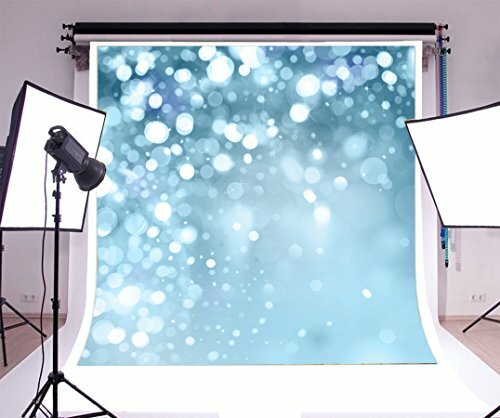 Apply: Wedding, Newborn, Children, Party and Product Photography, As Well As for Video Backdrops or Displays. If you have any questions about this product by Yeele, contact us by completing and submitting the form below. If you are looking for a specif part number, please include it with your message.